Do Rolling Stones Make Good Marriages? A person who never settles in one place will never be successful. A person who does not keep active will grow moldy. In this proverb we find two useful lessons for marriage. In the first sense stop rolling and settle in to be dedicated to your spouse. 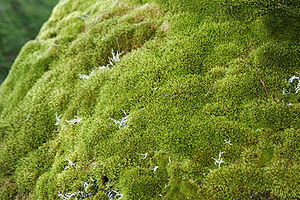 The verdant moss is a testimony to your devotion. In the second sense keep rolling and moving to devotedly pour effort into the health of your marriage. The cleanliness of your stone is a testimony to your devotion. The rolling stone rolls echoing from rock to rock; but the rolling stone is dead. The moss is silent beause the moss is alive. Chesterton criticized world travelers of having dead souls as they rolled from place to place, never rooted and grounded in a community where planted in proper context the soul is full of life. I hear wisdom offered to those rolling echoing from relationship to relationship, because their souls are thirsty and starved, comparatively dead next to those peaceful and alive, devotedly grounded in a lifelong marriage. A devoted, lifelong marriage enables the two united souls to go beyond surviving bouncing from relationship to relationship to thriving in the one relationship! Do rolling stones make good marriages? No, I do not believe they do. How are you rolling along? Are your activities strengthening or draining your marriage? Are you pouring love into your spouse or are your efforts divided extra-maritally whether people or activities? How are you growing moss? Is your devotion strengthening or draining your marriage? Are you devoted to your spouse or is your devotion divided extra-maritally whether people or activities?